Nigerian rapper Solidstar is on a mollifying run trying to placate fans who are aggrieved he is yet to release another EP. Fans so aggrieved may have to grab what is on the table until the EP drops: “Wena,” Solidstar‘s latest track. By the way “Wena” is actually a fine number. Here catchy beats meet excellent delivery. In the end you find yourself surrendering to the song. Those still aggrieved may find themselves submitting to the songs charms even before they realize it. Solidstar knows what he is doing. Fans gotta wait. What is coming might be grand after all. We are watching, ready to bring it to you. You may as well take a journey backwards and immerse yourself in previous songs from the rapper. “Shawarma,” “Allow Me,” which featured Mr Real, “Eleganza,” “Bana,” Wicked” and “Nigeria Future” are some Solidstar numbers you might wish to check out. In “Wena” Solidstar once again asserts himself as one of the rappers whose songs delight and engage. Rock this song and keep on rocking. Before you know you might have Solidstar‘s EP on your lap. 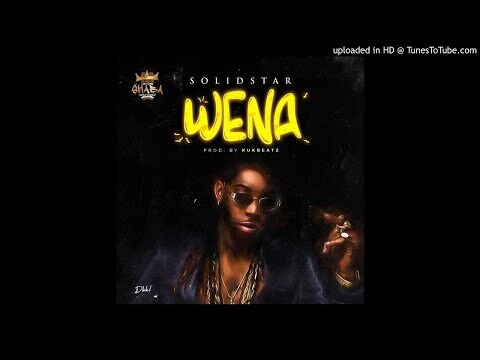 Stream and download “Solidstar – Wena” below, share on social media and join the conversation by dropping your thoughts in the comment section.